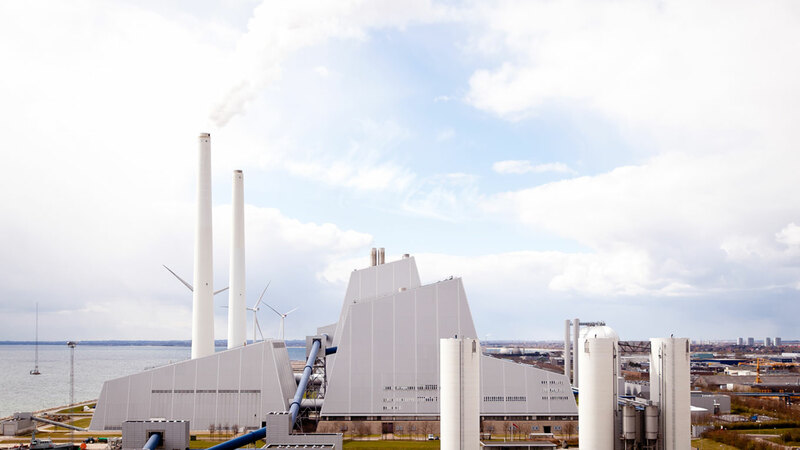 Ramboll Power has, since the conception and construction of Avedøre Power Station's Unit 1 in the 1980s been a regular provider of expertise to the owner DONG Energy (now Ørsted) on a wide range of specialist issues. Since the construction in 2001 of Unit 2, Ramboll has participated in the development of the plant's continuous and flexible adaptations to new fuel types, leading up to today's state-of-the-art multi-fuel production of power and of heat for the Copenhagen district heating system. A model for multi-fuel adaptation, the heart of Unit 2 consists of an 80 m high tower boiler linked to a steam turbine and a generator. The boiler, fuel logistic and combustion system enables a fully fuel-flexible operation on either coal (100 percent load), oil (100 percent load), Ngas (100 percent) or wood pellets (100 percent load). An additional separate, dedicated biomass boiler operating on straw is innovatively connected directly to the main boiler steam cycle, and by firing up to 25 tonnes of straw per hour it supplies more than 120MW high pressure steam to the common life steam rail adding to the provision of high-efficiency heat and power based energy supply. In addition, the plant comprises two separate gas-driven turbines, each with a capacity of 55 MW. The gas turbines are connected to the main steam cycle through heat recovery steam generators as feed water pre-heaters, providing the capability to switch flexibly between heat or power-driven operation. Unit 2's highly efficient use of fuels is reached through elevated steam data, i.e. by adopting USC (Ultra Super Critical) conditions firing at up to 300 bar pressure and 600°C. A complex fuel logistics system is connected to the plant with two silos carrying a capacity of 125,000 m3, and with adjoining harbour facilities that allow for biomass to be shipped in by sea from abroad or from a pelletation plant further down the coast – also designed and constructed by Ramboll Power.